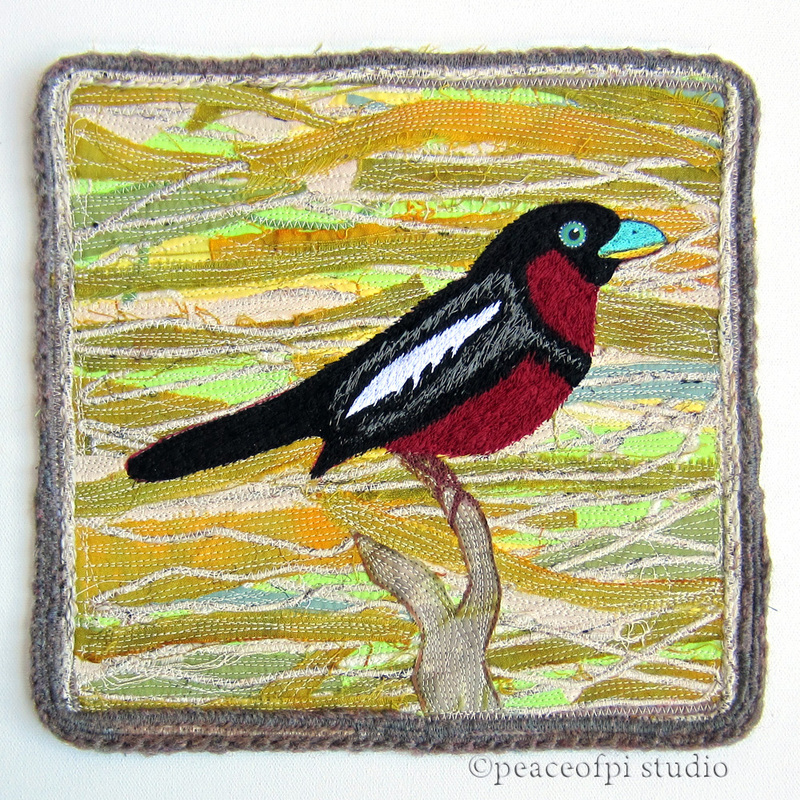 With a torn fabric background, this art quilt features a colorful tropical bird, the red and black broadbill. The bird is heavily free-motion stitched creating a feathery appearance. And the jungle-like tropical background uses torn strips of hand dyed fabric and solids along side of cord and yarn couching for a woody bamboo effect. It's hard to say how many feet of thread went into making this bird art quilt, but it's safe to estimate the total between oodles and scads!